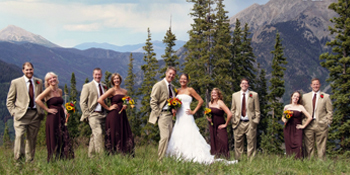 A wedding in the Rockies offers stunning backdrops & endless photo ops for your wedding or other special event. The photos & memories will last a lifetime, so find the best in professional photographers & videographers & capture every moment of this unforgettable day. Sorry no Weddings & Photography & Video items in Breckenridge, CO but Click Here for more items nearby.